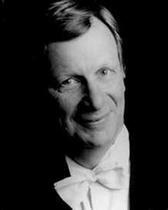 James D. Olesen, DMA, has been the choral director at Brandeis since 1972. He sang as a professional chorister in New York City under conductors Leonard Bernstein, Charles Munch, Gusatv Meier, Leopold Stowkowski, Loren Maazel, Robert Shaw, William Steinberg, and Lukas Foss, with the New York Philharmonic, The Robert Shaw Chorale, The American Symphony Orchestra, The Royal Ballet, the American Ballet Theater and Musica Aeterna, at Carnegie Hall, the Metropolitan Museum of Art, Philharmonic Hall, the Metropolitan Opera House, Town Hall, and the New York State Theater, and he recorded for Columbia, RCA, Decca, Composers Recording, Inc., and Nonesuch Records. He has performed Schubert’s Die Winterreise and Die Schöne Müllerin and Schumanns Liederkreis, Op. 39, and Dichterliebe with pianists Patricia Zander, Philip Moll, and Luise Vosgerchian. Mr Olesen founded and directed The Orpheus Singers, a chamber choir of skilled amateurs and professional singers performing repertory from the 15th century to the present. His DMA is from the University of Michigan where his principal teachers were Gustav Meier and Thomas Hilbish, and his BA is from the University of Chicago. The Orpheus Singers performs music from the vast history of choral repertory from the Western tradition, from Dufay through Elliott Carter and Andrew Imbrie.. By Dufay, Josquin, Lassus, Palestrina, Monteverdi, S. Rossi, Schütz, Purcell, Mozart, Haydn, Schubert, Brahms, Schönberg, Carter, Boykan, Irving Fine, Andrew Imbrie, S. Wolpe. Olesen, James D. Lindsey Chapel of Emmanuel Church, Boston, 2005 - present.